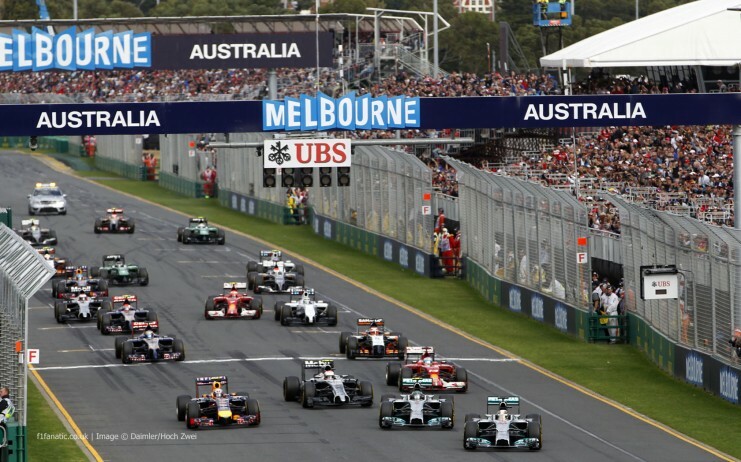 The Australian Formula one (F1) Grand prix opens the 2016 Formula one (F1) season in Melbourne at the Melbourne Grand Prix circuit on the 20th March 2016. The Australian Grand Prix is a motor race held annually in Australia currently under contract to host Formula One until 2023. The Grand Prix is the oldest surviving motor racing competition held in Australia having been held 79 times since it was first run at Phillip Island in 1928. Since 1985, the race has been a round of the FIA Formula One World Championship and is currently held at the Melbourne Grand Prix Circuit at Albert Park in Melbourne. Prior to its inclusion in the World Championship, it was held at a multitude of venues in every state of Australia. It was a centrepiece of the Tasman Series in most years between 1964 and 1972 and was a round of the Australian Drivers’ Championship on many occasions between 1957 and 1983. It became part of the Formula One World Championship in 1985 and was held at the Adelaide Street Circuit in Adelaide, South Australia, from that year to 1995, before moving to Melbourne in 1996. The winner of the race is presented with a circular plate, recently named the Jack Brabham trophy named for the three-time winner in a design based on the steering wheel of one of Brabham’s racing cars and a perpetual trophy, the Lex Davison trophy, named for four-time winner and dates back to the 1960s. The Australian Grand Prix is the first round of the Championship, having been the first race of each year, excluding 2006 and 2010, since the event moved to Melbourne. During its years in Adelaide, the Australian Grand Prix was the final round of the Championship, replacing the Portuguese Grand Prix in that respect. As the final round of the season, the Grand Prix hosted a handful of memorable races, most notably the 1986 and 1994 races which saw the 1986 and 1994 World Drivers’ Championships decided. Australian driver Lex Davison and German driver Michael Schumacher are the most successful drivers in the 86-year history of the event taking four wins each; while McLaren has been the most successful constructor with twelve victories, its success stretching back into the pre-Formula One history of the race—its first win being in 1970. Frenchman Alain Prost is the only driver to win the Australian Grand Prix in both non-championship and World Championship formats, having won the race in 1982, 1986, and again in 1988. The current naming rights sponsor of the event is Swiss watchmaker Rolex. The most recent race, the 2015 Australian Grand Prix, was won by Lewis Hamilton driving for the Mercedes team. The Australian Grand Prix is contracted to remain at its current Melbourne location until at least 2023. Melbourne Essendon airport (YMEB / MEB) lies 22 kilometres away from the Melbourne Grand Prix race circuit, around 25 minutes journey time by car, subject to traffic. Melbourne airport (YMML / MEL) lies approximately 29 kilometres away, and takes around 30-35 minutes by car subject to traffic. Arranging a private jet charter or helicopter transfer with Freedom Air to arrive in style to the Australian formula one (F1) grand prix in Melbourne is simple. The Freedom Air team can be reached on +44 (0) 1275 548001 and charters@flyfreedomair.com to book your next trip.